A couple of weeks ago I ordered a NetMF board from MikroElektronika in Serbia. Last night I downloaded the platform libraries and built my first application for the device (the obligatory flashing an LED). This afternoon I soldered the headers onto the clicks and hopefully didn’t make a mess of it. 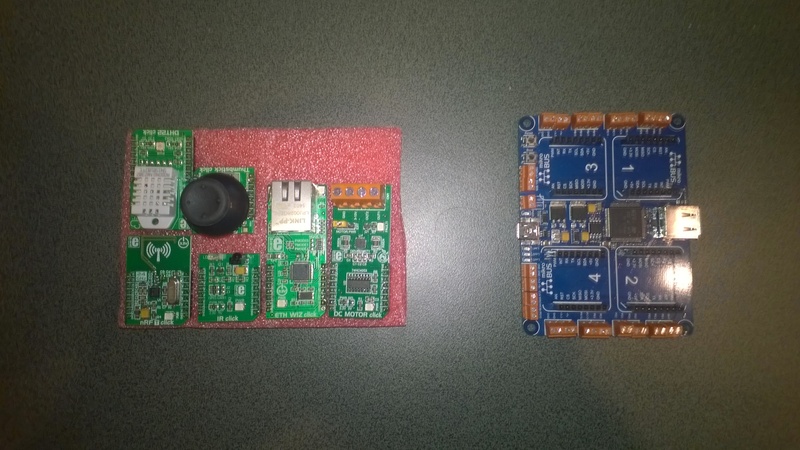 Next steps will be to get the nRF24L01 and joystick clicks working, maybe as a remote control for my 4WD robot. This entry was posted in NetMF, quail and tagged MikroElektronika, NetMF, quail. Bookmark the permalink. Thats brilliant, we are looking forward to hear how it goes, keep us posted!